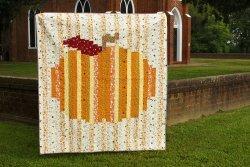 "I realized not too long ago that I didn’t have a Fall quilt – and clearly that is a situation that needed to be fixed! And when Lauren Nash released her newest quilt line – Calico Crow – I knew that it would be perfect! 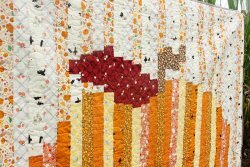 "The fabrics are perfect colors for Fall projects and they have the sweetest illustrations – little crows, pumpkins, leaves and flowers. I love it! There is even a print made up with little recipe cards from Lauren’s family recipes. 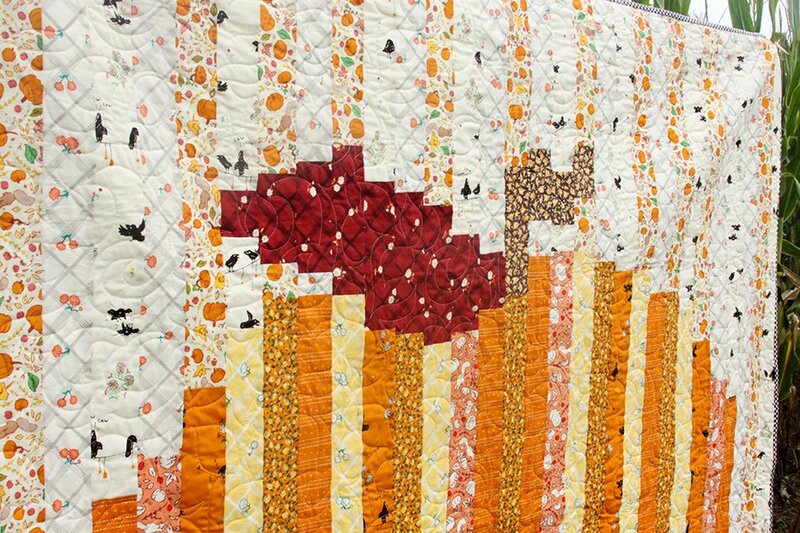 "I used the simpler prints in this line for my this new quilt pattern – I thought a scrappy look for this strip quilt pattern would be really fun."